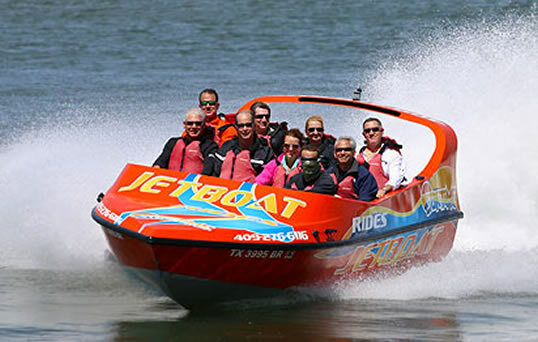 Galveston Water Adventures/Sun Time Watersports provides an exhilarating Jet Boat thrill ride in the Texas sun and the chance to experience the “Hamilton Spin,” a maneuver that rotates the boat 360° on its axis while throwing a wall of water into the air. Riders will also experience the thrill of sharp right angle turns and accelerated speeds that will result in the boat ride of a lifetime. 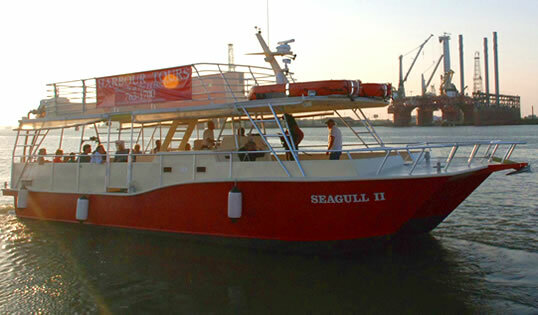 Join us for our two hour sunset tour of Galveston’s Harbor. Guests are welcome to bring snacks, beer, or wine (no glass) aboard to make the trip more enjoyable. Perfect for couples that want to sip champagne and watch the sunset or a group of friends just looking for something different to do, the trip will not disappoint. The tour is aboard Cruise-N-Time, our twin engine open-air tour boat. 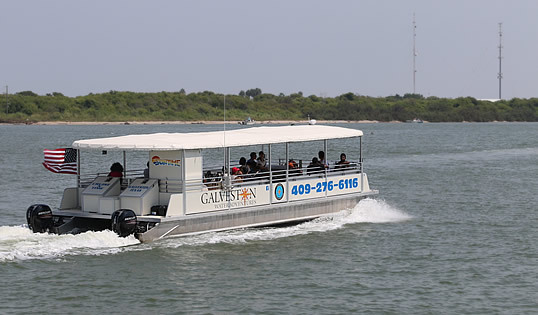 Join us for our one hour tour of Galveston’s Harbor to see birds and marine life. We are usually able to get a close up view of playful dolphins jumping. The tour is aboard Cruise-N-Time, our twin engine open-air tour boat. 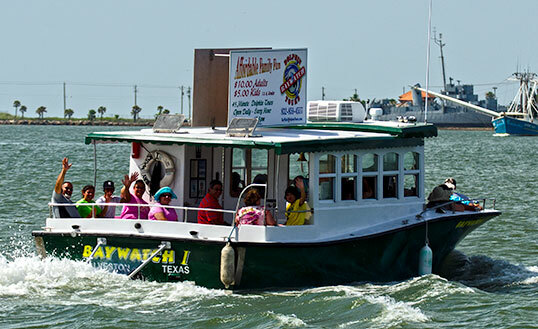 BayWatch Dolphin Tours is located on Pier 21 and only a short walk from the historic Strand District in Downtown Galveston. The 34-foot boat offers a covered interior and is considered a dolphin safe tour boat. Baywatch Tours offers daily 45-minute tours that allows guests to view the dolphins in their natural habitat during an informational tour of the harbor. 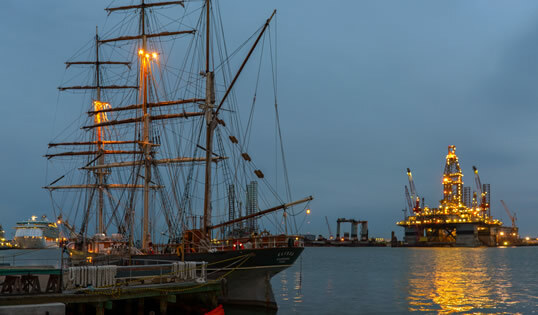 Texas Seaport Museum’s 50-foot twin-engine motor vessel, the Seagull II, is fast, stable, sheltered, and built specifically for harbor sight-seeing excursions and education. The boat is U.S. Coast Guard certified and her operators are fully licensed and knowledgeable about the history and lore of her home waters. An open upper deck affords a full panorama of water and sky. 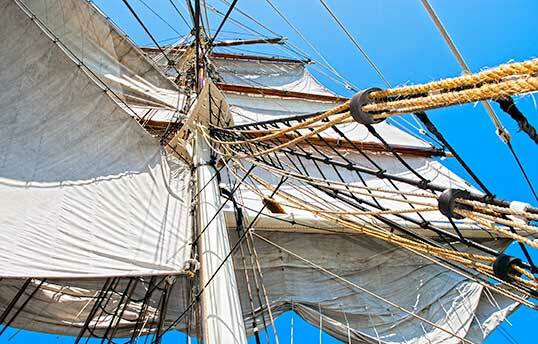 Share the adventure of the high seas at the Texas Seaport Museum, home of the celebrated 1877 tall ship Elissa. Explore the decks of this floating National Historic Landmark which has also been designated one of America’s Treasures by the National Trust for Historic Preservation. Walk Elissa’s decks and imagine the days when daring sailors challenged the world’s oceans. In the adjacent museum and theater, witness the story of Elissa’s dramatic rescue from the scrap yard and her meticulous restoration.